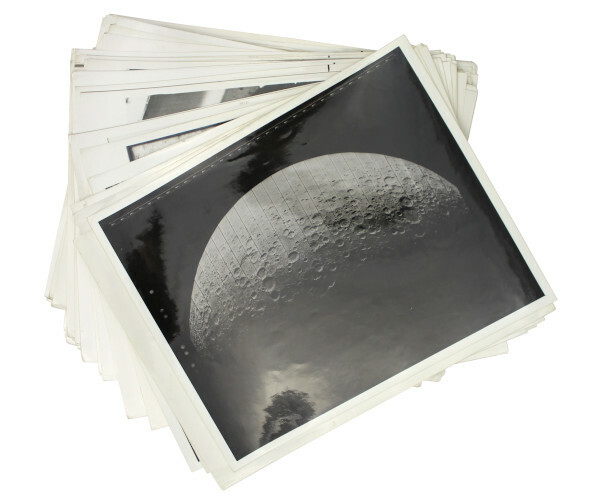 A collection of 81 press photos and documents given out in relation to the Surveyor 3 mission. NASA’s Surveyor programme was America’s first attempt to soft land spacecraft on the Moon. The programme was implemented in preparation for the Apollo missions, with the ultimate goal of sending humans to the Moon. Before Surveyor, and the Soviet Luna 9 mission four months prior, it was uncertain whether the lunar dust would be too deep for astronauts to walk on. This question was answered when five out of the seven Surveyor spacecraft managed to land successfully on the Moon, proving a crewed mission to the lunar surface would be possible. 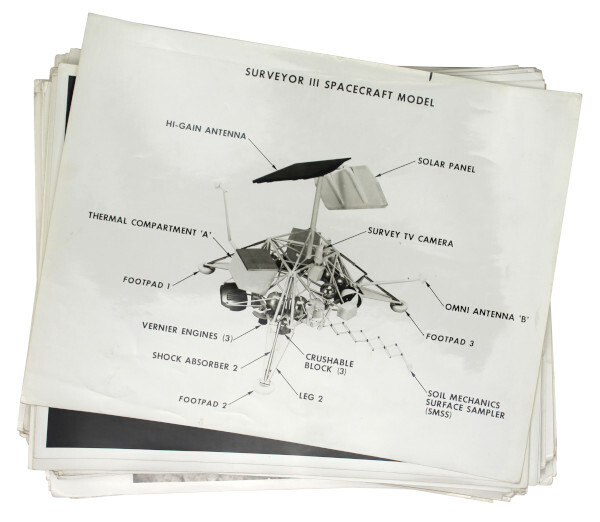 Surveyor 3 was the first Surveyor spacecraft to carry a device for taking samples of the lunar soil. This was mounted on a motor driven arm and was used to dig trenches to take samples from, which were then placed in front of the spacecraft’s camera. Images of the samples were then sent back to Earth. 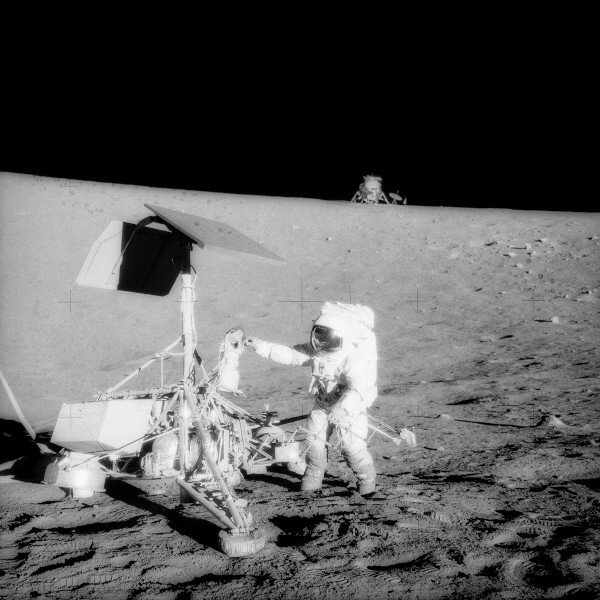 The camera itself was also taken back to Earth by the crew of Apollo 12, who landed within walking distance of Surveyor 3 in November 1969.